Ms. Roberts graduated from Proviso East High School in Maywood, Illinois in 1966. She received a Bachelor of Science degree from Illinois State University in 1970. She attended Marquette University Law School from 1977 to 1980, and received the degree of Juris Doctor in May 1980. Ms. Roberts participated in both the Jessup International Moot Court competition and the Texas Young Lawyers Association Trial Advocacy competition on behalf of Marquette University Law School. She served on the Marquette University Law Review from 1978 to 1980, and served on the Editorial Board as Executive Editor from 1979 to 1980. While in law school, Ms. Roberts served as a law clerk for the nationally prominent criminal defense firm of Shellow & Shellow in Milwaukee, Wisconsin. 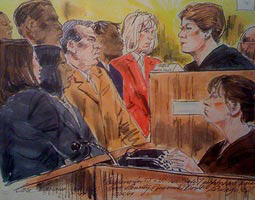 Upon graduation Ms. Roberts remained with Shellow & Shellow as an associate, where she participated in several high profile homicide trials with attorneys James M. Shellow and Stephen M. Glynn, including the defense and eventual acquittal of Ray Mendoza and the trial of serial killer David Van Dyke. In 1981, Ms. Roberts returned to Chicago and served as a Staff Attorney with the Federal Defender Program for the Northern District of Illinois, Inc., from June 1981 to March 1984, under Director Terrence F. MacCarthy. In her three years with the Federal Defender, Ms. Roberts tried several cases to a jury, including obtaining an outright acquittal in a serious interstate theft case. In March 1984, Ms. Roberts left the Federal Defender Program to establish Durkin & Roberts. 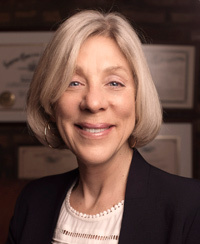 From February 1997 to February 2000, Ms. Roberts served as a Supervisory Regional Counsel for the Illinois Department of Children and Family Services, working in the areas of Child Protection and supervising all cases for minors in State custody with cases pending in the Juvenile Justice Division countywide. In that position, Ms. Roberts participated in extensive litigation in the Juvenile Justice Division, including the high profile case involving the custody of Tykeece Johnson and Jessie Rankins, who had been adjudicated delinquent for the murder of five year old Eric Morse in a Chicago Housing Authority high rise in 1984. Upon returning to Durkin & Roberts, Ms. Roberts’ practice continued to focus on Federal and State court criminal defense matters both locally and nationwide, including criminal appeals, as well as child welfare and juvenile delinquency matters. Ms. Roberts continues to serve as a panel attorney for the Federal Defender Program for the Northern District of Illinois, Inc. She has been a guest lecturer on “honest services” mail fraud at Marquette University Law School’s Traveling CLE Program, and on a panel discussion on “honest services” sponsored by the Criminal Law Society at the University of Chicago Law School. Ms. Roberts is a member of the Illinois State Bar Association, the State Bar Association of Wisconsin, the American and Chicago Bar Associations, the American Constitution Society, and the National Association of Criminal Defense Attorneys and American Civil Liberties Union. Ms. Roberts also serves on the Board of Directors of the Illinois State University Attorneys Advisory Board. Ms. Roberts is admitted to practice before the Supreme Courts of Wisconsin and Illinois, the U.S. District Court for the Western District of Wisconsin; U.S. District Court for the Eastern District of Wisconsin; U.S. District Court for the Northern District of Illinois, including Trial Bar; U.S. District Court for the Northern District of Indiana; and the United States Court of Appeals for the Seventh Circuit. Ms. Roberts resides in Chicago, Illinois with her husband and law partner, Thomas Anthony Durkin.